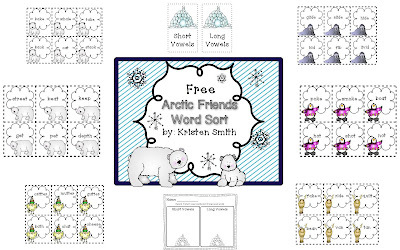 A Day in First Grade | FREEBIE! This last week we had almost half of our first graders get wiped out by a stomach bug. (bleh!!) I’m so thankful for a week long break to kill off all the germs and also so we all can relax! However, I already know that when we come back my students will most likely not have read daily and therefore will need some practice getting back into the swing of things. For this reason I created a really easy to put together literacy center to help students read short and long vowels words quickly. 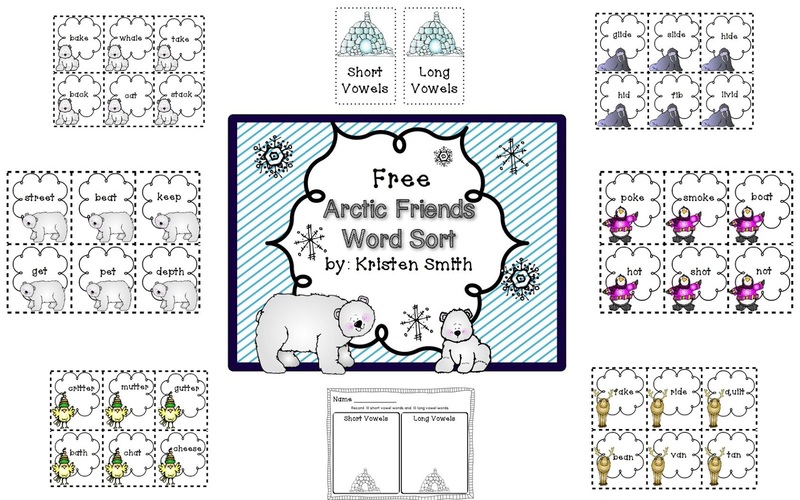 In a fun arctic theme, I know my students will enjoy playing this game! Click on the picture to get taken to download your free copy!! 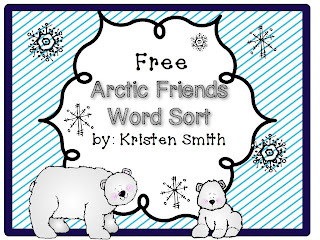 If you want to make sure you don’t miss a freebie, please follow my blog! All you have to do is click on “Join this site” which is located on the right side of the blog listed under followers! This is so cute 🙂 Thanks for sharing your hard work with us!! I’m having a giveaway on my blog you might be able to use! Making 5 and 10 using dot patterns, finger patterns and numbers!! If you let people know about my giveaway in a blog post..I will send it to you for FREE!! What a great freebie! Thanks so much! What a terrific freebie! Thank you for sharing this at TBA, have a wonderful week!